Hostess was looking for a major tentpole film to drive sales in the May/June window. X-Men: Days of Future Past was named the most anticipated film of the summer and featured a star-studded cast. 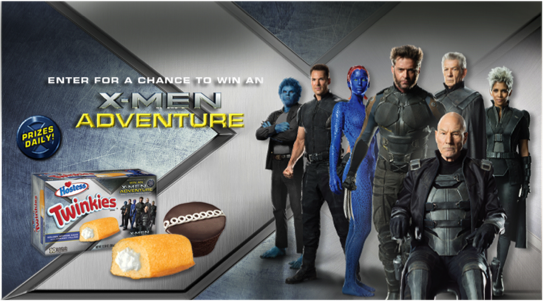 Both X-Men and Hostess are beloved American brands, and the X-Men comics often featured Hostess advertisements. Hostess already owned the trademark for eXtreme creme and knew a partnership was the perfect opportunity to launch two new flavors of Twinkies: Strawberry and Blue Raspberry, playing off the red and blue color palette of the film.